Do ads on social media sites (like Facebook, Twitter and YouTube) really work? To investigate this, aolplatforms analyzed hundreds of millions of consumer interactions and the summarized result is the infographic below. Myth: Social media doesn't work for brands. Reality: The aggregate contribution of social media on consumers path to purchase is subtle. It's more often than not a channel to influence a buying decision, rather than acquire new customers or directly close sales. 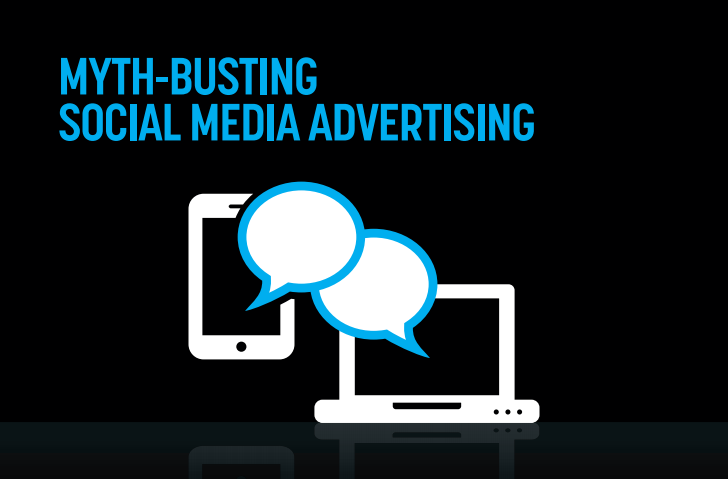 Myth: There's no point to paying for ads on social sites because brands can market themselves on them for free. Reality: While organic social is great for retention, targeted advertising on social offers a dramatic shift in the value of social, moving it from being strictly an influencers channel, to one that efficiently acquires new customers and leads to greater sales conversions. Take a look at this visual, for more insights.